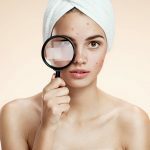 Dark spots on the face can be annoying! There is enough drama in our lives already and having to deal with the stress of hiding the unsightly spots on the face is not an apt situation at all. But like they say every problem has a solution, and here we are yet again with natural remedies that are safe and effective too. 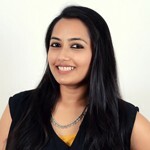 In this article, we tell you how to tackle dark spots with simple face packs. Curious much? Keep reading to know more. It saddens our heart and worries us deeply to see those ugly spots creep up on our face. Dark spots caused due to hyper-pigmentation, generally occur during one’s middle age. 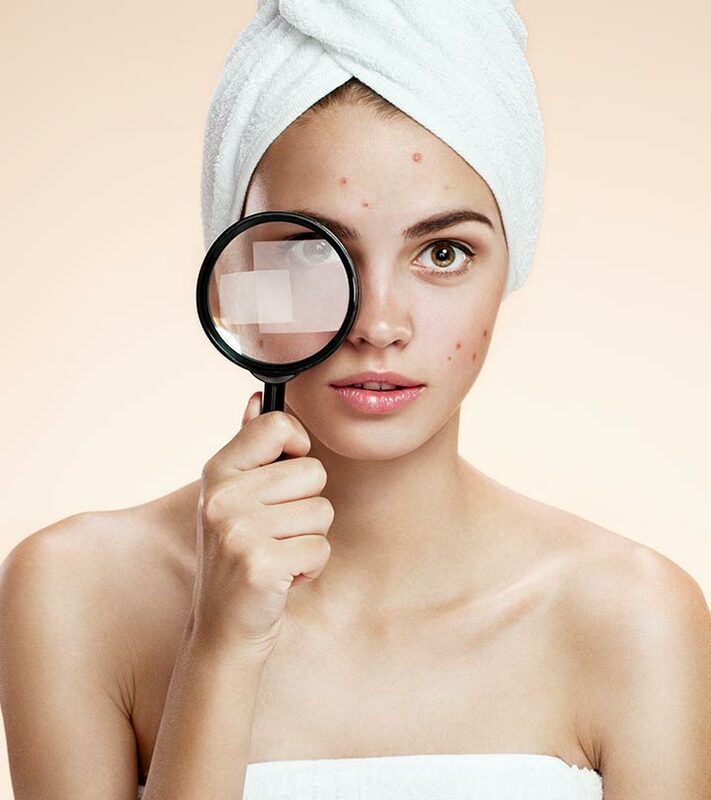 Skin traumas such as acne, pimples, blackheads, etc. are some of the other common problems that leave dark marks on your skin. Don’t even think about running to a dermatologist to get rid of your dark spots. You can easily treat dark spots at home by applying one of the following face packs. They are all easy to make and hassle-free. Squeeze out the juice from the lemon and add honey to it. Mix them together. Apply this all over your face and leave it on for 10-15 minutes. Then, wash it off with lukewarm water followed by splashing your face with cold water. Gently pat your skin dry using a towel and then moisturize. Repeat this once every day. When applied topically, citric acid present in lemon helps to lighten the dark spots with its bleaching properties. Lemon also helps to unclog pores and shrink them (1). Honey in this face pack will help to keep the skin moisturized as it is an emollient. It also has healing properties (2). Make a fine paste of the sandalwood powder, lemon juice, and glycerin. 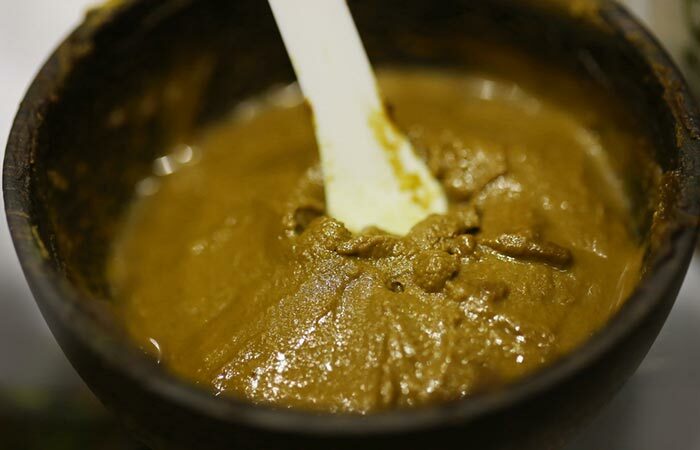 Add rose water to adjust the consistency of the paste. Apply the paste all over your face and specifically on the dark spots. Leave on for a few minutes. After it dries, wash off with lukewarm water and then moisturize the skin. Use this face pack 2-3 times a week. If you have dry skin, repeat it not more than twice a week. Sandalwood is known for its skin care properties. It reduces dark spots and blemishes by improving circulation. This also gives the skin a beautiful glow (3). Glycerin will keep the skin hydrated while the rose water will help the sandalwood powder in enhancing the complexion (4, 5). Grind the onion and garlic together. Apply the paste on your dark spots and leave it on for about 15 minutes. Then, rinse till the smell wears off and apply a moisturizer. To get rid of dark spots, you should definitely give this paste a try. 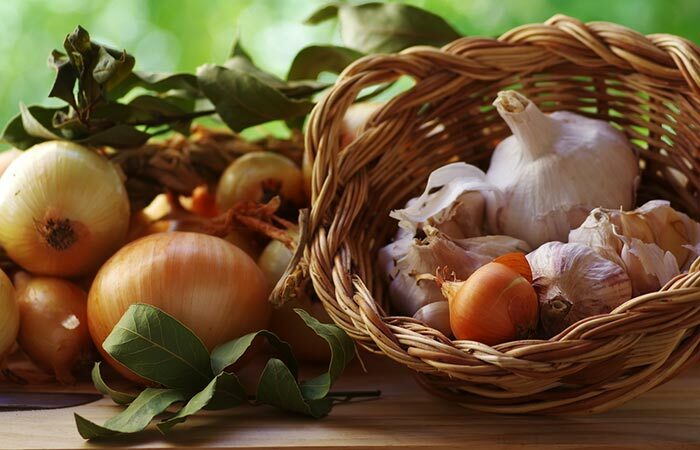 Garlic improves the blood circulation and onion works wonders in removing the scars and marks from your skin (6, 7). These properties work together to reduce dark spots. Mix the ingredients together and apply on the dark spots. You can also apply this all over your face. Keep the mixture on for 15 minutes and then wash it off. Apply this once a day, either before taking a shower or before going to bed. 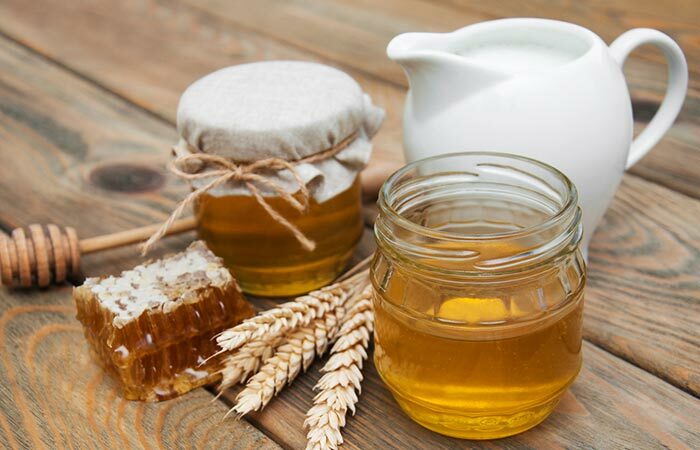 Milk has skin-lightening effect while honey is known for its moisturizing properties (8). If you use this face pack on a regular basis, you will not only get rid of those dark spots but will also have clear, glowing, and younger-looking skin. It will help you uncover the beautiful you! 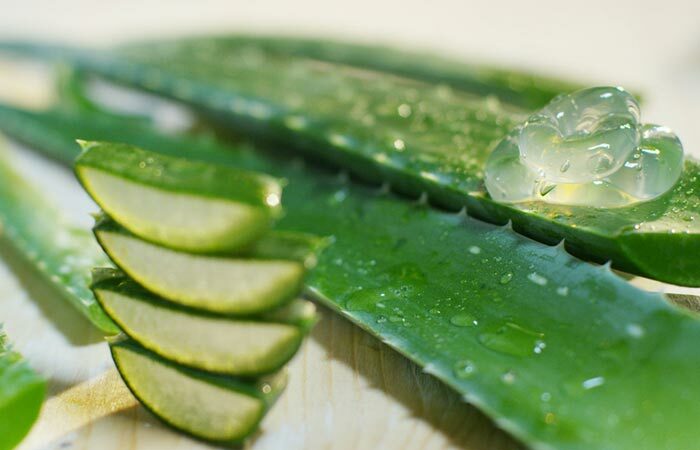 Extract fresh aloe gel from a leaf. Take enough to cover your entire face in a separate bowl and add the rose water to this. Mix well. Apply this all over the face and let it dry for about 15 minutes. Before washing, massage for 2-3 minutes and then wash it off. This pack can also be used as a fairness pack! It is best if this face pack is used 3-4 times a week. It can also be used every day. Aloe vera has abundant medicinal values and possesses a number of healing properties. It works wonders for the removal of dark spots as it contains aloesin, which inhibits the over-production of melanin (9). Mix the ingredients together and keep the mixture in the fridge for a couple of minutes. Apply the cool face pack on the entire face. Let it dry for 10-15 minutes. Apply this face pack twice a week. 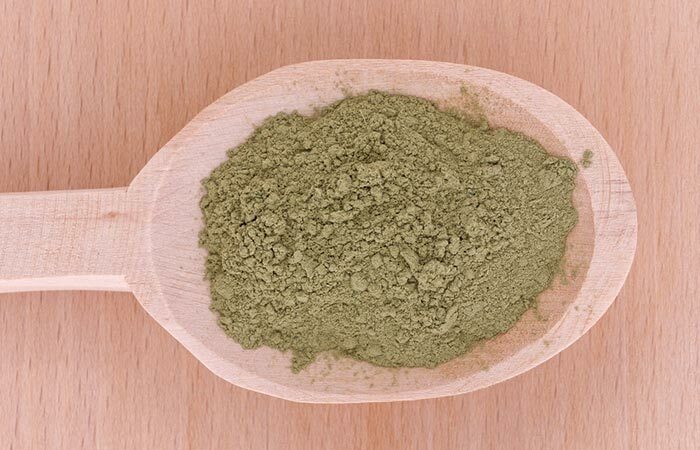 Because of the antiseptic properties of neem, it is very effective in removing dark spots, especially those caused by acne (10). Peel and grate the potato. Add the lemon juice and milk powder, and mix well. Apply this on the face and let it be for about 15 minutes. Wash off the pack with water. Pat the skin dry and use a moisturizer. 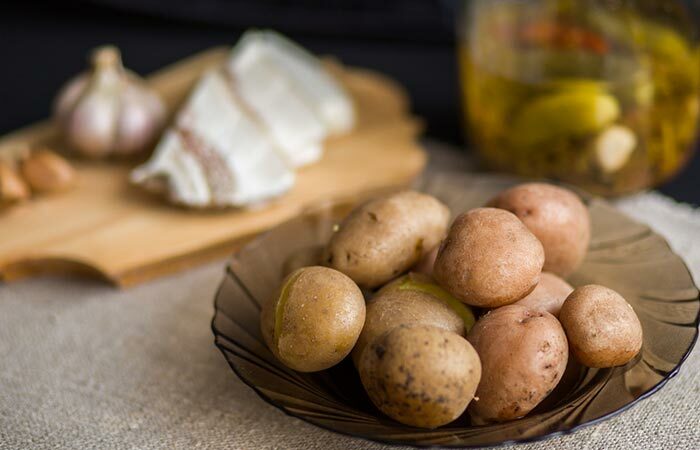 Potatoes being natural skin bleaching agents lighten the dark spots and blemishes and brightens your complexion (11). Lemon juice helps in quickening the lightening process. Mix all the ingredients together and apply the face pack. Once dried, rinse it off with water. 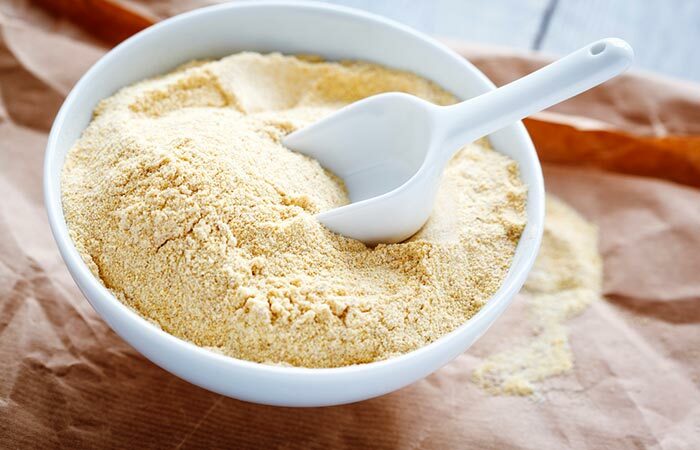 Gram flour cleanses the skin and removes the dead cells that have accumulated on the dark spots (12). The tomato pulp and aloe vera gel then work on lightening the dark spots. Besan face packs are often used to enhance the complexion and give a natural glow. Mash the papaya pulp and mix it along with the green tea. Apply this on the affected skin and let it sit for 20-30 minutes. For better results, steam your face before applying the face pack. 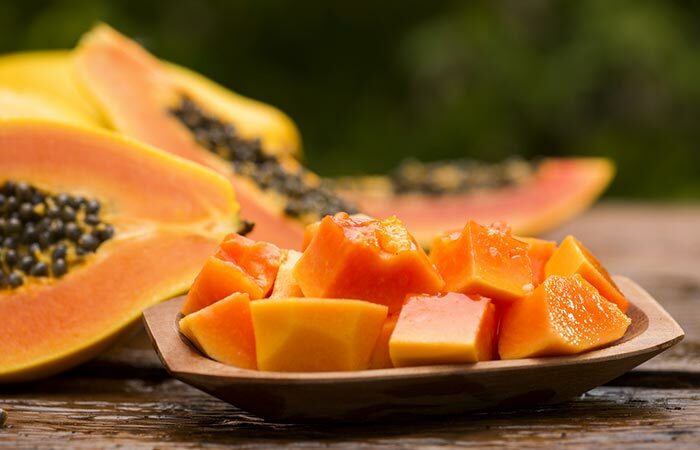 The enzymes present in papaya exfoliate the skin and make it brighter (13). When used on the dark spots, they are lightened to a great extent with this face pack. Green tea helps in relieving some of the oxidative stress from the skin that may be an underlying cause for the dark spot formation (14). This prevents dark spots from forming further. Take the ingredients in a bowl and mix well. Add more rose water if required. Apply this mask evenly on the face and neck. Let it sit for 15-20 minutes or until it dries completely. Use this face pack/mask once every 4-5 days. While the cosmetic clay absorbs all the impurities from your skin, the turmeric in the face pack will even out your skin tone. This means that it will also lighten the dark spots and other areas where there is hyper-pigmentation. Turmeric and honey are also rich in antioxidants (15, 16, 17). Your skin will feel rejuvenated and soft after using this face pack. 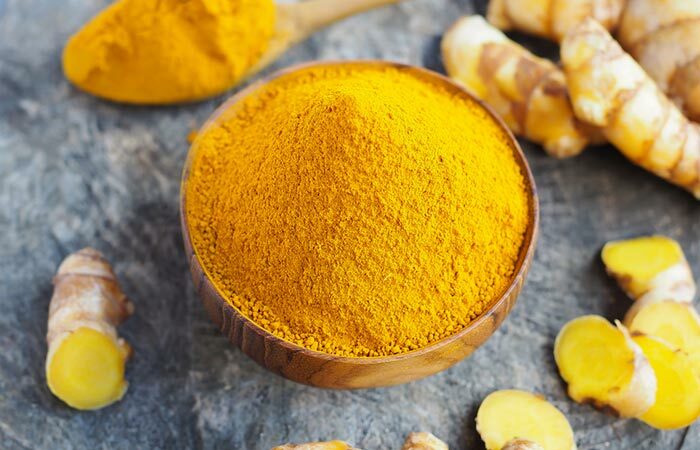 Do not use the turmeric powder from your kitchen. Use turmeric meant for face packs and masks available in the market. Do not let the dark spots ruin your mood. Try these face packs and bid goodbye to them. Along with remedies, it is important to take good care of your skin while stepping out in the sun. Use a sunscreen with good SPF and cover your face with a scarf to prevent damage from the sun and pollutants. Have you tried any natural remedies to treat dark spots? 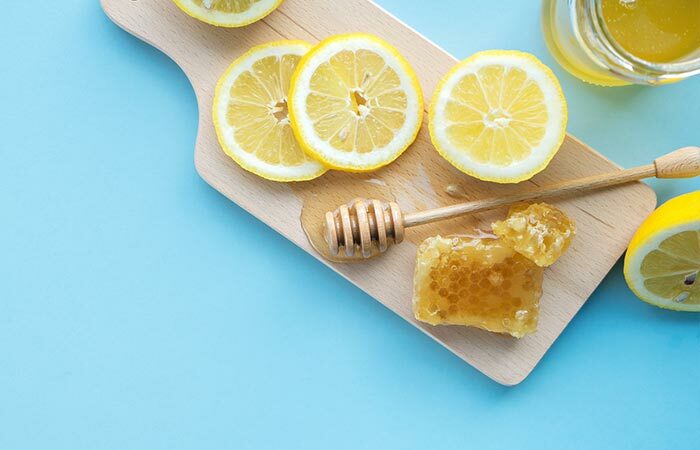 Do let us know which is your favorite homemade face pack for dark spots. We would love to hear from you. share your experience with us in the comments below. How To Remove Dark Spots On Your Face With Lemon Juice? How To Get Rid Of Dark Spots on Your Hands?